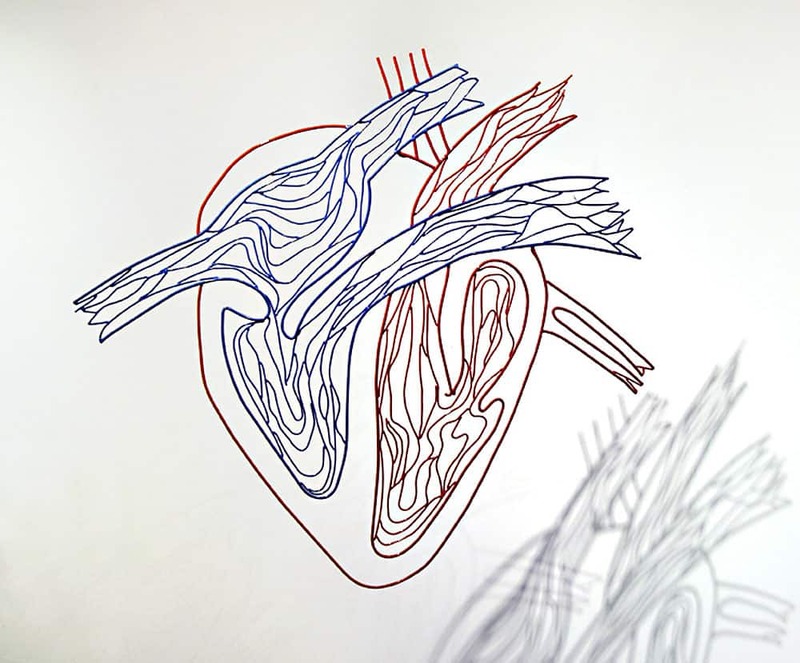 The accepted commision was to create a 2D wall sculpture for the cardiological service in Monash. The sculpture features the structure of an anatomical human heart, with the outline highlighting a cross section view. The ventricles and aortas are defined in red and blue, to emphasise the direction of the blood entering and exiting the heart. The aim was for the sculpture to sit out from the wall, to allow for shadow play to highlight the lines of the work.